The FN top 1% Dressage Stallion Values confirms the dominance of Donnerhall, with 15 of the 44 stallions from his line. There are four stallions with four representatives each: Rubinstein, Weltmeyer, Sandro Hit and Florestan. The newly re-awakened ‘B’ line of Bolero, has two representatives, but both of them – Breitling W and Belissimo M – are in the top ten. The steady return of Trakehner blood to competition ranks, and the breeders’ favour, continues with five Trakehner stallions making the cut: Münchhausen and Insterburg, and their sire Hohenstein, Hofrat and his Hanoverian son, Hotline, and the Latimer son, Hibiskus. The new openness of German breeding is reflected by the fact that the Dutch sire (and WBFSH No 1) Jazz, features in 14th spot. This openness is further reflected in the latest Hanoverian standings, where top dressage spot goes to the Belgian born, Dutch owned and ridden, Florencio, who is Westfalien branded, and solidly German bred: by Florestan out of a Weltmeyer/Pik Bube II mare. Florencio had a spectacular Young Dressage Horse career, with two world titles, and while he has been somewhat pre-occupied with his breeding career, he is still in work with Hans-Peter Minderhoud, and headed for a Grand Prix start. Florencio with a breeding index of 158 (and an accuracy of 91%) is ten points clear of the equal second placed stallions, Belissimo M (also 91%) and Hohenstein (97%) on 148. That’s three private stallions at the top of the Hanoverian list. The days when the stallions at the State Stud Celle dominated, and private stallions were an outlandish Oldenburg fashion, are well over. The highest ranked Celle stallion is Don Frederico in 4th on 147. Despite the former Celle director, Dr Bade’s initial unwillingness to recognize the worth of Donnerhall – Oldenburg’s great rival to Bade’s beloved Weltmeyer – we can see today on the Hanoverian standings just how completely Donnerhall has conquered the Hanoverian dressage breeding scene. Of the 43 stallions on the ‘Topliste Dressur’, 13 are from the D line, almost double the Weltmeyer descendants who total seven. There are five new faces in the Topliste this year – Hotline (Hofrat / De Niro – this must be a relief to the 800 or so mare owners who are reputed to have bred to the stallion in his first year, because the foals on first report were looking a little, er… plain), Desperados (De Niro / Wolkenstein II), Locksley II (Londonderry / Weltmeyer), Dancier (De Niro / Lancier) and Breitling W (Bismark / Maat I). The Hanoverian Yearbook also publishes a Topliste for type, and every year since the Yearbook was first published in 1999, these standings have been headed by the Trakehner stallion, Caprimond (Karon / Mackensen) – and so it is once again in the 2011 edition, and once again, Caprimond wins by a considerable margin, with a breeding value of 173, with the second placegetter, Wolkentanz II (Weltmeyer / Ludendorff) on 161. 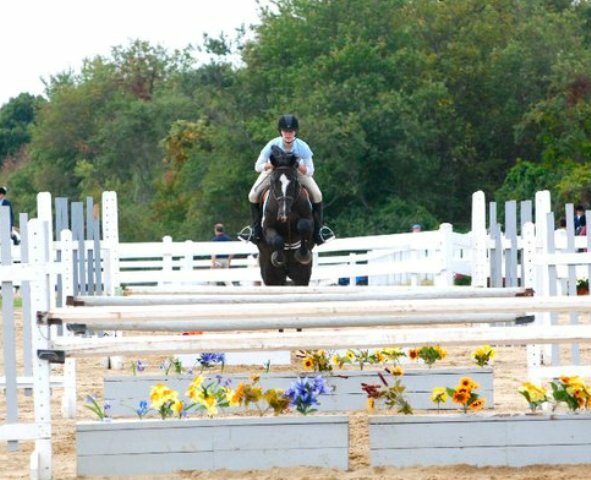 Greengate Farm Competes on the USDF Sporthorse Circuit and has won many Awards including: National USEF 2004 Sporthorse Breeder of the Year & National USDF 2006 & 2009 Dressage Riding Horse Reserve Champion Breeder of the Year. 2012: As of September 15th, Greengate Farm/Rachel Ehrlich is currently #1 Dressage Sporthorse Breeder in the USA. Showing: 2 year old Stallion candidate, STERNLICHT ggf (Soliman de Hus/EM Rhapsody ggf) and SHALIMAR ggf (Schroeder/SPS Walkuere) May we be lucky and blessed enough to keep our title as the year ends. 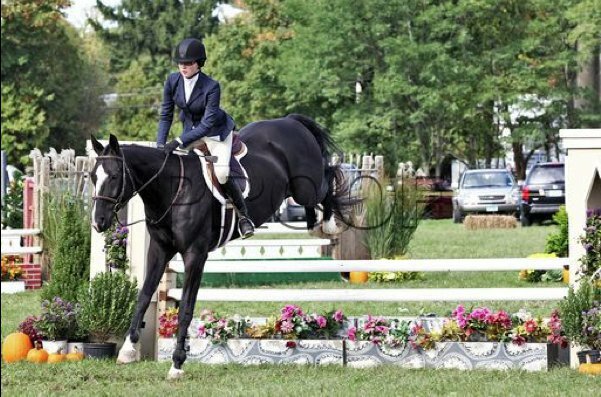 It will be tough, because the other breeders are showing farm more horses at a larger number of shows, but remember “Quality not Quantitly” counts at Greengate. We are Honored that we could be raised to such a high level by our TWO BEAUTIFUL YOUNGSTERS!!! SHELL & ZIGGI. 5 Year Old, jet black Hanoverian gelding 16.1 hands: by FEI WERBELLIN/Weltmeyer/Legat, out of: LEPANYA , imported Hanoverian mare by Lugano. Front pasterns white, hind socks white, narrow stripe similar to sire’s. 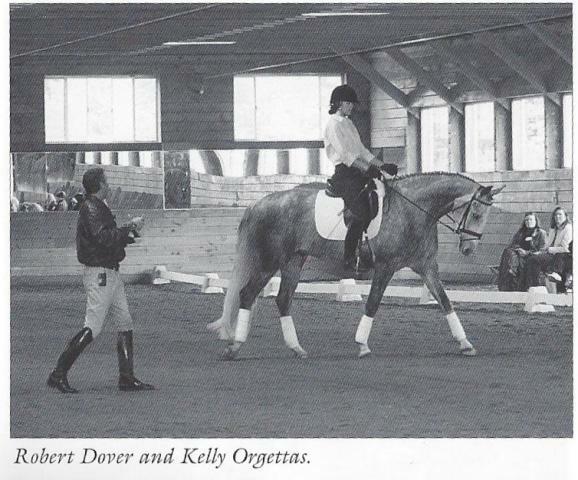 Three quality gaits and quiet enough to take an amateur rider to upper levels. Started Under Saddle x 1+ year. UTD: shots/coggins/farrier, trailers well. 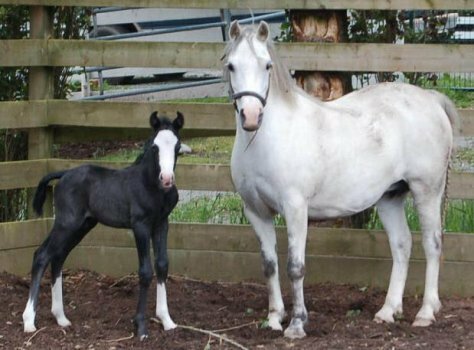 Vicki Felcan of Borders Edge Equestrian Center announces the birth of “DENALI” by Donarweiss, out of: Evan’s Lunchbox Social, a Section A, Welsh pony mare. DENALI is a German Riding Pony that is the same breeding as his full brother, who was a Gold Premium at last years inspection. Contact Vicki for information about these and other oustanding German Riding Ponies. Hi, just wanted to drop you a line and tell you that I saw Wirbelwind at the NEDA Robert Dover Spring Fling in Millis, MA. 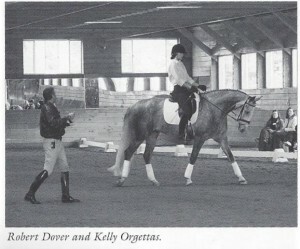 the rider, Kelly Orgettas was a demonstration rider during the event. What a beautiful gelding, he looks like a great amateur ride. 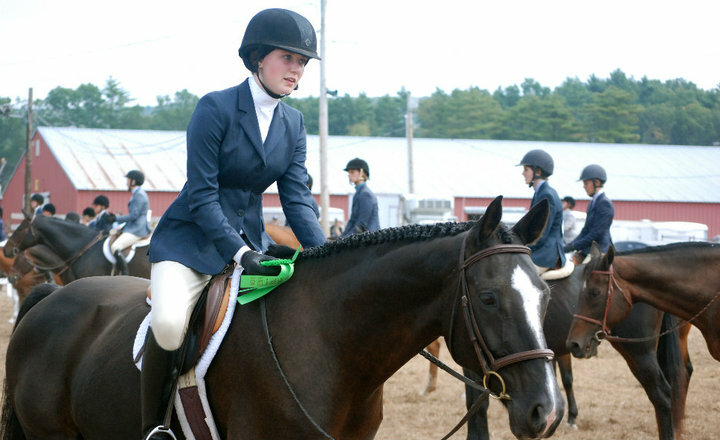 UPDATE: 2012: Whirbelwind and Kelley Orgetas: Qualified for Region 8, AA, 2nd Level Championships. Congratualtions Kelley!